Large 2 piece plastic sided litter trays, with rim to stop litter tracking. 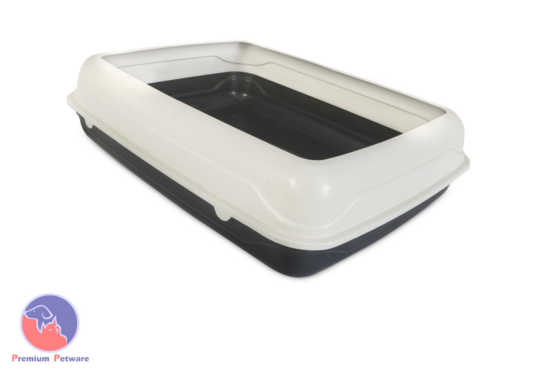 This large litter tray has a removable top half that has an inward facing rim to help prevent the tracking of litter out of the tray. Made from anti-bacterial plastic.